To assess your Australian visa eligibility we need to know more about your situation. Please fill the form below ahead of your consultation. It looks like a lot of questions, but they are all important for Australian visa assessment. Different visas have different eligibility requirements so we need to find out more about you. This is probably the most comprehensive questionnaire you will find on the internet, but if filled honestly, assessment outcome will be very accurate. Please note we do not provide with free consultations at the moment. An assessment must be paid before a consultation. Please also fill it if you have been asked to do so by our staff. Click on a button below if you’d linke to proceed wit booking a consultation. Australian visa assessment is prepared in accordance with current Australian Migration Law and Regulations by Australian Migration Agent. Once you’ll answer all the questions in a questionnaire and click “submit” we’ll get all the information. Please note – fee for consultation will be deducted from future professional fees should our company be engaged in your migration process. 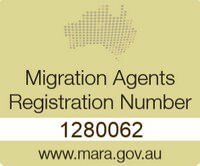 During a consultation, Migration Agent will provide information about your Australian visa prospects, visa process, visa application-related costs and will also answer your visa related questions.